irBoard 1.7.5 has been released, it was fixed an issue where the app is crash when it connects to PLC. 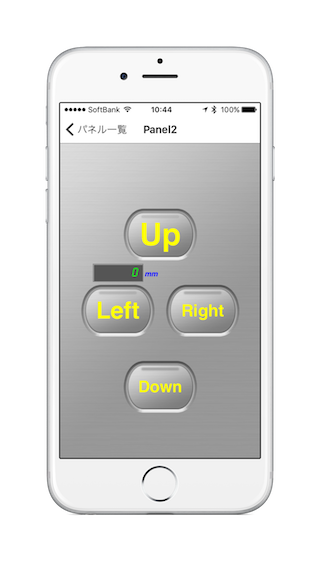 irBoard is iOS application which makes your iPhone / iPod touch / iPad a display with a touch panel for the PLC(Programmable Logic Controller). 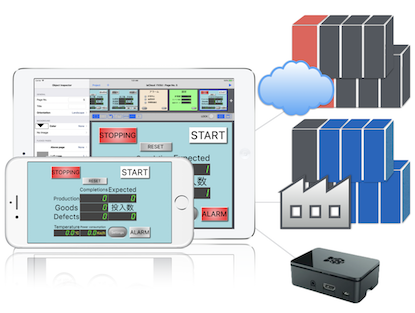 You can remote maintenance of multiple FA machines by only an iPad, anytime and anywhere. One iOS device can connect to the multiple FA machines by switching a project. You can monitor statuses of a FA machines far from the location, and time reduction is achieved. To limit minimum screens in your main touch panel and move maintenance screens to the irBoard. You may choose a smaller model of it and make cost-cutting. If your machine is smaller, it may not need a main touch panel. We have more simple flanked product irPanel and for I/O checking by yourself ioTouch2 . The more reasonable irBoard Player is released.